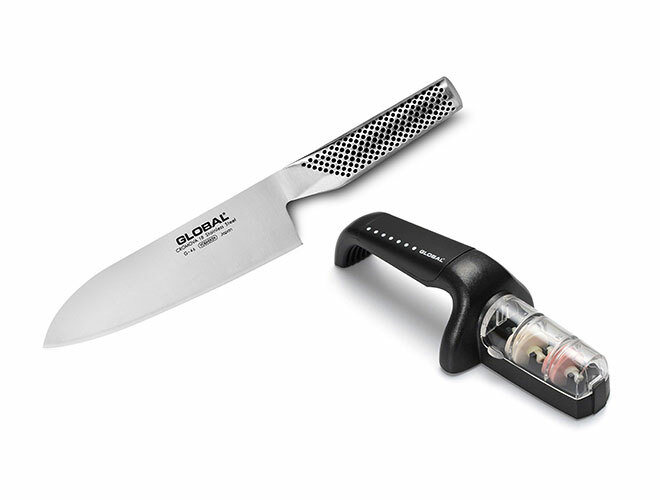 Set includes a Global 7-in Santoku Knife and 2-stage Black Ceramic Water Stone Sharpener. 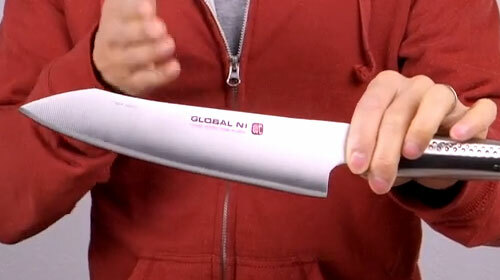 The Santoku Knife is designed for precise cuts of raw fish, poultry, or meat and uniform mincing of vegetables. 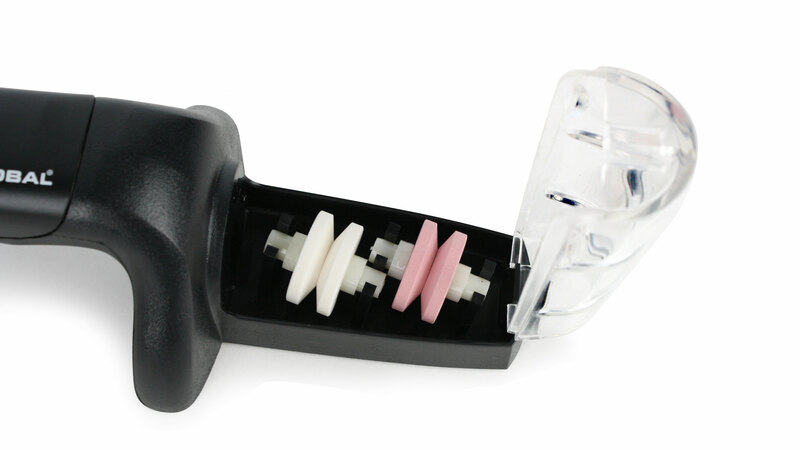 The Global 2-stage Black Ceramic Water Stone Sharpener provides a complete sharpening process. The first stage of sharpening uses a white coarse wheel to sharpen dull and chipped edges, while the second stage uses a pink fine wheel for standard sharpening and polishing the blade edges. 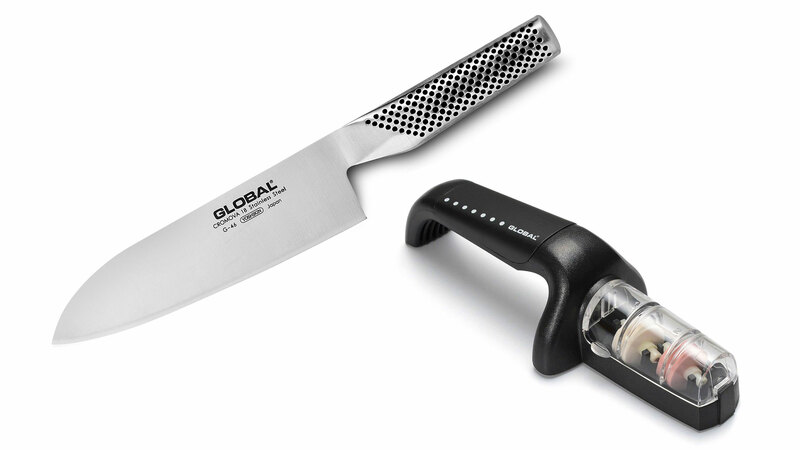 Global Knives have two most innovative features, their edge and the way they are balanced. The most important feature of any knife is its edge. 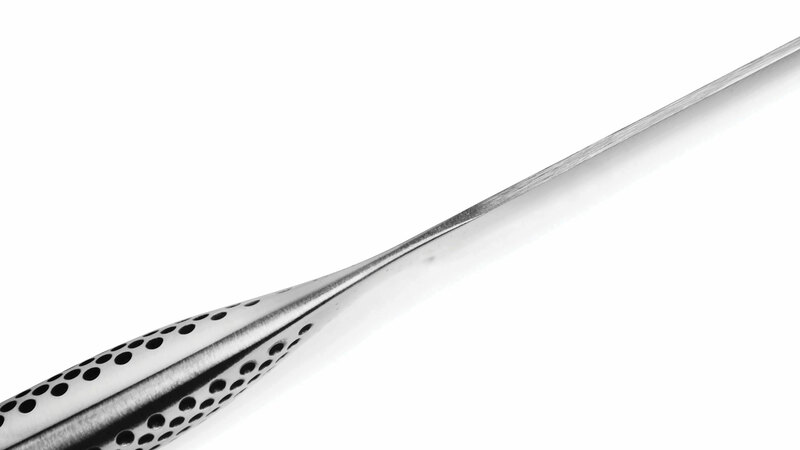 The blade is made from one of the finest steels, CROMOVA 18 stainless steel. 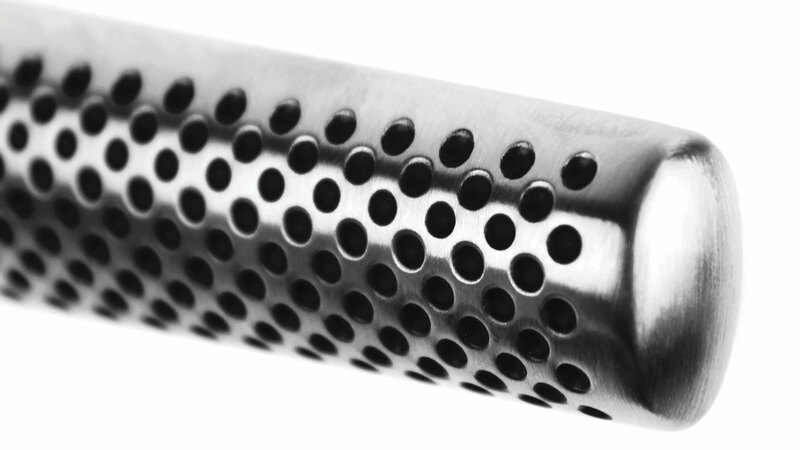 This special steel is ice-tempered and hardened to a Rockwell Hardness of 56-58, which remains razor sharp longer than any other steel and resists rust, stains and corrosion. 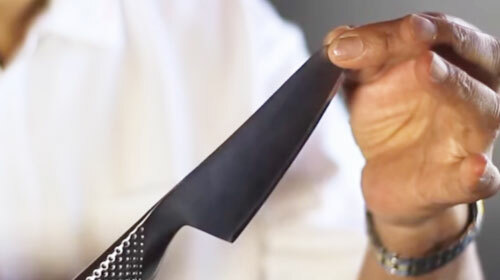 The blade edge is ground on both sides of the blade like western style blades; however the edge is ground to a straight point rather than a beveled edge which results in a razor sharp edge that will stay sharper longer. To balance the blade, all Global knives have a unique hollow handle filled with the right amount of sand to create the perfect balance. Global knives are truly unique. https://www.cutleryandmore.com/global/santoku-knife-ceramic-water-stone-sharpener-p137515 37515 Global 7" Santoku Knife with Ceramic Water Stone Sharpener https://cdn.cutleryandmore.com/products/large/37515.jpg 89.9900 USD InStock /Cutlery/Santoku Knives Set includes a Global 7-in Santoku Knife and 2-stage Black Ceramic Water Stone Sharpener. 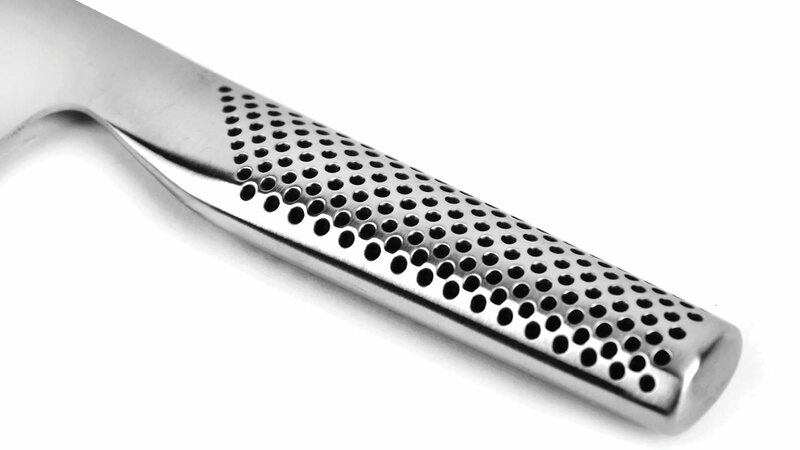 The Santoku Knife is designed for precise cuts of raw fish, poultry, or meat and uniform mincing of vegetables. 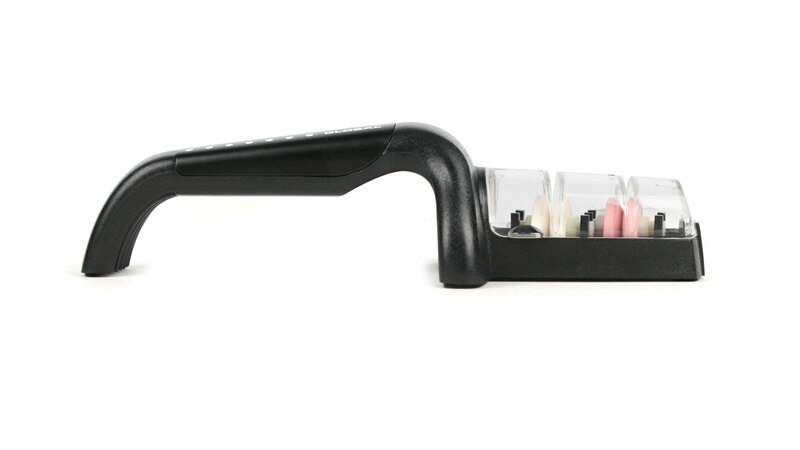 The Global 2-stage Black Ceramic Water Stone Sharpener provides a complete sharpening process. 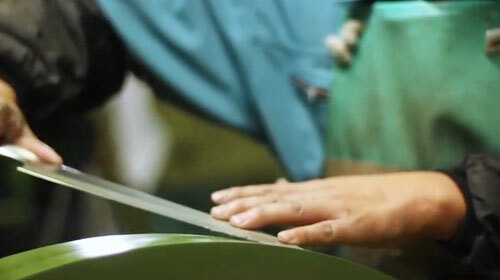 The first stage of sharpening uses a white coarse wheel to sharpen dull and chipped edges, while the second stage uses a pink fine wheel for standard sharpening and polishing the blade edges.